Contemporary study in DC Metro with carpet, a built-in desk and white walls. This is an example of a contemporary home office and library in Dallas with a built-in desk. Photo of a small contemporary study in San Francisco with white walls, medium hardwood flooring, a built-in desk and brown floors. 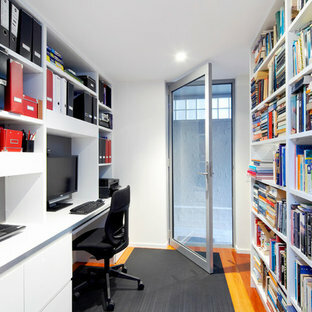 This is an example of a contemporary home office and library in Other with brown floors. Photo of a small contemporary study in Sydney with white walls, medium hardwood flooring, a built-in desk and brown floors. Contemporary home office and library in New York with white walls, medium hardwood flooring and a built-in desk. 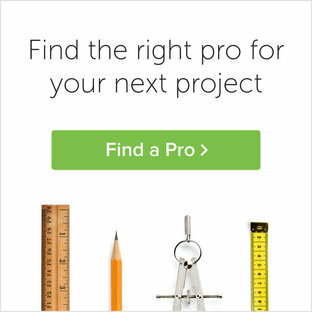 Design ideas for a large contemporary study in Toronto with dark hardwood flooring, a freestanding desk, brown walls, no fireplace and brown floors. 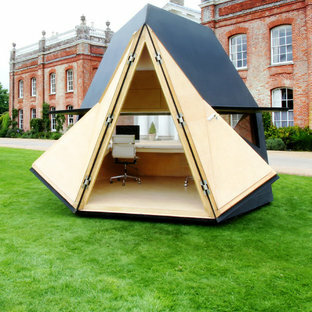 Inspiration for a contemporary detached office/studio/workshop in London. 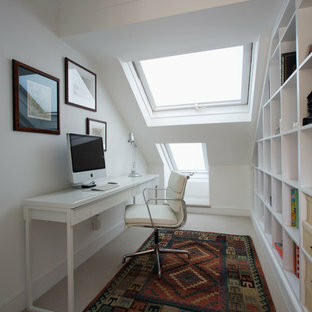 Small contemporary study in London with white walls, carpet, no fireplace and a freestanding desk. Large contemporary teen’s room for girls in Toronto with white walls and dark hardwood flooring. Inspiration for a medium sized contemporary study in Los Angeles with white walls, carpet, no fireplace, a freestanding desk and beige floors. Design ideas for a small contemporary study in Chicago with a built-in desk, white walls, ceramic flooring, no fireplace and grey floors. 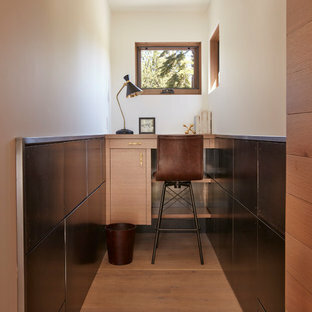 Photo of a medium sized contemporary home office and library in Denver with grey walls, dark hardwood flooring and a built-in desk. Design ideas for a medium sized contemporary study in Salt Lake City with white walls, no fireplace, grey floors, porcelain flooring and a built-in desk. Contemporary home office and library in Other with a built-in desk. By Homes of Distinction, Inc.
Photo of a large contemporary home office and library in Other with white walls, medium hardwood flooring, a freestanding desk, brown floors and no fireplace. Contemporary home office and library in San Francisco with white walls and a built-in desk. Large contemporary home office and library in San Francisco with yellow walls, concrete flooring, no fireplace and a built-in desk.